Welcome to Yoga for Fertility by Lynn Jensen! 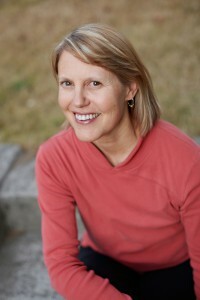 I have been teaching yoga in Seattle since 1997. I am a Registered Yoga Teacher through the Yoga Alliance, and a Certified Yoga Therapist through the International Association of Yoga Therapists. I am also a registered Prenatal Yoga Teacher. I developed my Yoga for Fertility program in 2002, after several years of dealing with my own challenges with fertility. Since then, I have been offering several Yoga for Fertility classes each week, as well as retreats, workshops and teacher trainings. To date, there are nearly 2,000 “graduates” of my Yoga for Fertility programs, who are now busy parenting. My Yoga for Fertility program is based on over 25 years of personal yoga study and practice, and my own experiences with fertility challenges. My focus is using yoga therapeutically to address women’s health issues, through the physical, emotional and spiritual healing power of yoga. I have studied extensively with many internationally-known yoga instructors, including Bob Smith, author of “Yoga for a New Age”, Angela Farmer, Rod Stryker, Julie Gudmestad, Dr. Robert Svoboda, Dr. Scott Blossom, Dr. Claudia Welch, Judith Lasater, Donna Farhi, Lauren Walker, and many others. My yoga practice and teaching reflect the combined wisdom of these highly experienced master teachers, as well as my personal study and practice. I teach weekly Yoga for Fertility classes in the Seattle area, as well as Yoga for Fertility Workshops, Retreats and Teacher Trainings several times each year, both in the U.S. and internationally. I also offer private Yoga for Fertility instruction and Fertility Coaching in person or via Skype. Additionally, I teach weekly Yoga for Women classes at Microsoft. In addition to classes and workshops, I currently teach yoga in the Mind/Body Program at Pacific Northwest Fertility clinic in Seattle. In 2006, I developed and taught the yoga program for a National Institutes of Health study researching the effect of yoga on menopausal symptoms. I often am asked to present on topics related to yoga and women’s health at various venues, including the annual RESOLVE Conference in Seattle, and the Northwest Yoga Conference. The book I co-authored with yoga teacher Jill Petigara, Yoga and Fertility, A Journey to Health and Healing, and my DVD: Yoga for Fertility, Simple Practices for Fertility Support, are available on Amazon, on my website, and through bookstores. I recently released my Yoga for Healthy Hormones video, which is available on this website, and on Vimeo. Prior to starting the Yoga for Fertility program in Seattle, I spent 15 years managing international sales, marketing and distribution for high-tech and software companies. During these years, I stayed sane with my personal yoga practice, and became a specialist at “hotel room yoga” and “airport yoga”. I also spent several years during this time dealing with fertility challenges and treatments. My son finally arrived after I left my corporate job and started my own international consulting company. This change also allowed me more flexibility to be home with him. When my son was 2, I realized my dream of founding the Yoga for Fertility program, in order to share the benefits of what I had learned on my journey with others who are dealing with fertility challenges. I look forward to meeting you soon!